Dance Central, arguably the most killer of apps for Microsoft's Kinect controller, is bound for a sequel. What will developer Harmonix bring to the follow-up? Potentially a very long list of improvements, based on an early survey. At the very least, a list of proposed features for Dance Central 2 appears to bring it closer to parity with Rock Band's feature set. There's talk of a robust in-game online store, deeper character customization and better practice options. Perhaps more interesting is a proposed karaoke mode that would let non-dancers sing along to songs for bigger scores. 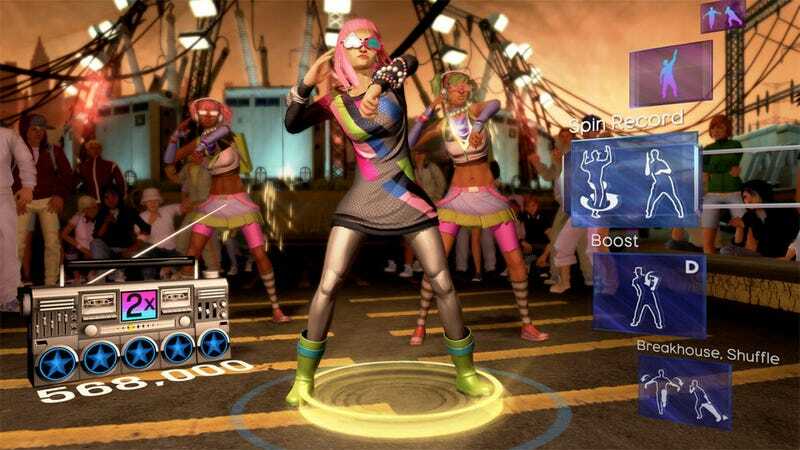 New features that we'd expect to have, like online play over Xbox Live and voice control over menus with Kinect, are among the list of potential Dance Central 2 additions. Harmonix co-founder and CEO Alex Rigopulos said that a new Dance Central was in the "pre-production" stages last November. Keep that in mind as you take a look at the following long list of not-anywhere-near-close-to-final features that might hit Dance Central 2.